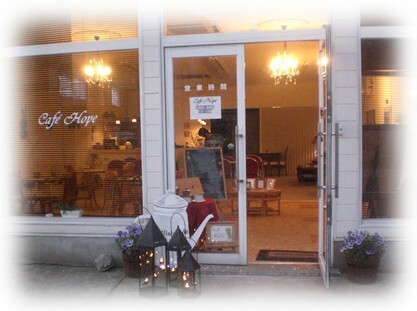 Welcome to our cosy Scandinavian cafe in Kanazawa City. We are looking forward to offer you a nice cup of coffee or refreshing drink and a delicious Norwegian waffle with icecreem. Or maybe you would like to try one of our lunch menus? Click into our menu card and start your cafe experience right away. Saturday: Usually closed, but check our calender! Sunday - Monday: Other Hope House activities. By car: P-space for 5 cars. By bus: Asahi bus stop in front of the cafe.